Once you’ve applied for your course, you'll need to start thinking about applying for your visa, if you require one to study in the UK. Our experienced staff are here to help you understand about visa requirements. This information is based on the latest information available. But please note, the United Kingdom Visa and Immigration (UKVI) update their guidance and their website frequently and without notice. You should always check with UK Visas and Immigration for the latest information. You’ll generally need a visa if you (or your family) are nationals of a country outside the European Economic Area (EEA) or Switzerland. This visa is called ‘entry clearance’ because it gives you permission to enter the UK. You can check your status to see whether you need a visa on the Government UK Visas and Immigration (UKVI) website. Unsure if you need a visa? When should I apply for a visa? Once you’ve received your Confirmation of Acceptance of Studies (CAS), you can apply for your visa. You can apply from three months before the start of your course. Visas can take up to 30 days to come through, so it is recommended you apply as soon as you have received your offer. The main type of visa our international students apply for is a Tier 4 (General) Student Visa. However, if you’re studying in the UK for six months or less, you may be eligible to apply for a Short-term Study Visa instead. We recommend you read the latest UK visa guidance for details of the application process. You'll need to pay the Immigration Health Surcharge as part of the application process. Check how much you'll need to pay. You’ll need to apply online for a Tier 4 (General) student visa. As part of your application, you’ll need to get a biometric residence permit. This means having your fingerprints and photograph taken at a visa application centre. You will need to collect your biometric residence permit within 10 days of the date you said you would arrive in the UK (even if you arrive late). If you’re already in the UK, you can only extend your existing visa or switch over to a Tier 4 (General) Student Visa in certain circumstances. See if you are eligible to extend or switch your visa in the UK. You won’t be able to extend your visa or switch to a Tier 4 visa from within the UK if you’re already studying on a Short Term Study Visa. If you live in North Korea, you will need to download the form and appendix. We also recommend reading the instructions on how to apply. What’s the Immigration Health Surcharge? You may need to pay a healthcare surcharge (the 'Immigration Health Surcharge' or IHS) as part of your immigration application. The cost varies depending on your circumstances so we recommend you check how much you’ll need to pay using the UKVI calculator tool. If you're applying online or through the premium service centre, you'll pay the IHS as part of your application or when you book an appointment. If you're applying by post, you’ll need to pay the IHS online before you send your application. You'll need to include the IHS reference number on your application form. You'll then be able to use the National Health Service (NHS). Remember, you'll still need to pay for certain types of services, such as prescriptions, dental treatment and eye tests. You don't have to pay the IHS if you're applying from outside the UK for a visitor visa or any visa that lasts six months or less. This means you don't need to use the healthcare surcharge service or get an IHS reference number for your visa application. Instead, you'll have to pay for any healthcare you get through the NHS at the point you use it. What documents do I need when I apply for my visa? You’ll need to have your Confirmation of Acceptance of Studies (CAS) with you before you apply for a visa. You’ll be sent your CAS once you have an unconditional offer to study, have paid your deposit to INTO, and have met any other conditions. You may be asked to provide additional documents depending on your individual circumstances. Supporting documents are usually returned within 14 days. What are the UK Visa regulations? You’ll need to meet British immigration requirements. And, if you’re studying for more than six months, you’ll be required to have entry clearance as a student. Please be aware that you won’t be able to change from a visitor visa to a student visa from within the UK. 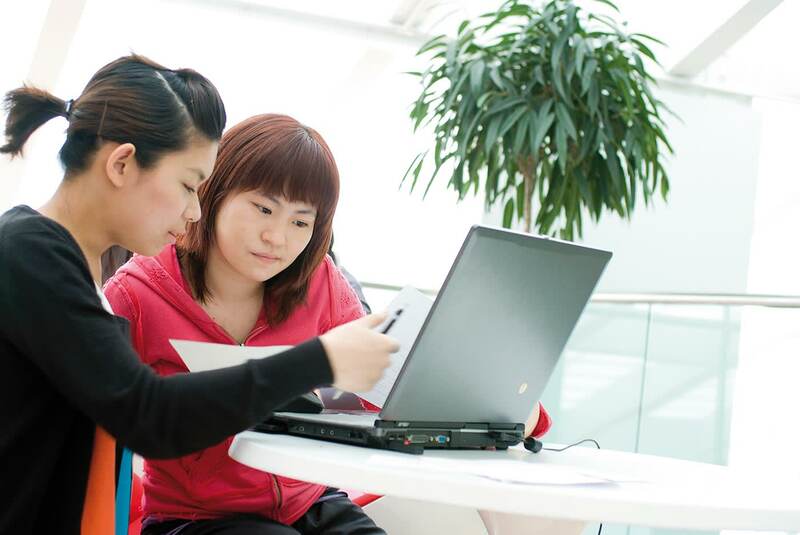 If you’re a student from China, you can find information and advice on visas on the British Embassy website. The UK visas website will help answer some of your initial questions, and you can also find information and advice on entry clearance and visas on the UKCISA website. What knowledge of English will I need? You’ll need to prove your knowledge of the English language when you apply. This usually means passing a Secure English Language Test (SELT). Applicants to any of our courses at below-degree level will always need to pass a SELT test at the appropriate level, and include this as part of their visa application. Your test also needs to be from an approved provider. You'll need to check the entry requirements for your specific course page. What is an IELTS test? you can bring your dependants to the UK with you. If you are studying on a course below postgraduate degree level or studying for less than twelve months, you can’t bring your dependants with you to the UK. Can I work while I'm studying? If you are studying on a visa, your ability to work (paid or unpaid) may be subject to specific restrictions. This type of visa is normally issued for skilled workers but you can study with it, too. It can be issued up to 5 years. You can work an unlimited number of hours in your main job. Plus up to 20 hours in a second job or voluntary position. With a Tier 4 visa you can work at all INTO Centres, apart from INTO Manchester and INTO London. If you are studying below degree level, you can work up to 10 hours per week during term-time and full-time during vacations. If you are studying at degree level or above, you can work 20 hours per week during term-time and full-time during vacations. Voluntary work is allowed but only within the maximum hours. For example, if you are allowed to work 20 hours per week and have a paid job, this could be 15 hours per week paid and five hours unpaid (voluntary) work. Work is not permitted, including work placement or work experience or any business activity. Will I get a refund if my visa is refused? Yes. If your visa is refused, we’ll refund 100% of your tuition fees, provided INTO receives evidence of the refusal no later than two weeks after the proposed course start date (or one week for General English, English for University Study and Pre-Sessional English courses).